Welcome to Lawrence Kia’s Summer’s On Us Sales Event! Ends Monday, July 10th. 2017 Forte, Optima, Sorento and Soul models are eligible for No Payments for 5 Months! 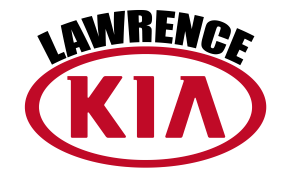 Lawrence Kia is the only dealership in Kansas City offering a FREE True Lifetime Warranty. No matter where you live, as long as an ASE Certified mechanic works on your Kia, your warranty goes with you anywhere in the USA. Since Lawrence Kia is one of the newest dealership in our market, we are working really hard to build our customer base. The best way we know how to build our customer base is by offering the best price right out of the gate. However, offering the best price in the market leaves us with little to no room to negotiate. Good news for you is that this takes the unpleasant haggling and back and forth completely out of the car buying process. This is why our customers love doing business with us. Less time at the dealership, More Fun with Your New Car!